When it comes to crisis communication strategy, one “size,” or plan, does not fit all situations. No organization, regardless of size, is immune to the reputation damage and brand-crushing impact of a crisis. While we often assume that only large companies experience crises, the fact is that every organization has stakeholders that can determine its fate when the unexpected happens. In many ways, small and mid-size organizations may be even more vulnerable to the damages a crisis can bring because they rely on a smaller pool of stakeholders to sustain their organization. Well-built crisis communication plans contain several elements, including details on crisis team member roles and responsibilities, chain of command, escalation and activation guidelines, information verification and statement approval procedures, crisis response policies, contact information and a variety of checklists, templates and tools. The most comprehensive plans recognize that communication strategies will necessarily vary depending on the nature of the crisis, and contain scenario-specific strategies that help guide the team’s initial communications response. No two crisis situations are alike, but most share enough aspects in common that we can categorize them into groups and develop communication strategies that can be used for almost any situation. How do we define a crisis in our organization? What is our communication philosophy and culture? What kind of management notification system do we have in place for responding to emergencies during non-business hours? How good is it? Do we have a crisis management plan? If yes, how sure are we that it will work in a crisis? Have we ever used, tested or updated it? Who would our spokespersons be and are they trained to respond to reporters in tough situations? Are we prepared for a social media attack on our company? How much information would be willing to give out? Who will decide? How would we inform our employees, customers, and other key stakeholders and how long would it take? What crises have our competitors had and how well would we have done if the crisis had been ours instead of theirs? In terms of issues affecting the organization, what keeps me awake at night? How do we identify issues, and how quickly do we act to correct them? Are there individuals in our organization that tend to downplay issues until they become big problems? Do we have any kind of early warning system to spot potential crises-in-the-making? How do we monitor litigation, regulatory issues and other legal matters across our various operating entities? How do we monitor our competitors for the same kinds of issues? Does our organization have any organized labor issues looming? What is the potential for other personnel/staff issues to become a crisis? How effectively do we (really) communicate with our employees? Customers? Vendors? Business neighbors? Community leaders? Legislators and/or regulators? Investors/donors? Other stakeholders? What kinds of crises do I think are most likely to happen here in the next 6-12 months? How well are we prepared to address those potential crises? By aggregating the responses to these assessment questions, we can quickly create a list of the most probable crisis situations for which to plan. From there, communicators, with input from management, HR, legal, compliance and risk management (as applicable) can develop a communication planning and strategy tool for each scenario on the list. Each document is typically a 3-5 page ‘quick action guide’ that helps determine initial steps to take once a crisis has been identified/declared. Overview– a two to three paragraph summary and description of the situation. Crisis Team Members– list of the key team members and their roles in the crisis. Not every situation requires the entire crisis management team. Communication Priorities– define the desired outcomes that effective communication should accomplish and the approach that will be taken to communicate with all priority stakeholder groups. Key Stakeholders– identify and list the most important stakeholder groups and prioritize them by 1) those most affected by the event; 2) those not immediately affected but who need facts; and 3) those not immediately affected but need information for reassurance. For each stakeholder group, determine whether they are likely to be advocates, adversaries, or ambivalent toward the organization in this situation. Highest-priority stakeholders are those with whom you will communicate first and likely most often. Likely Questions– Anticipate the most common things that stakeholders and the media will want to know, and draft the potential initial responses to those questions. Key Message Points– what are the three to five most important things that we need to convey with every communication? Keeping this list short and concise will make it easier to stay on point during difficult interviews and to reinforce the message. Initial Holding Statement– a fill-in-the blank initial statement to acknowledge a situation and let stakeholders know that we are working on the problem and will share more information as soon as possible. Communication Vehicles- the list of tools that will be used to get the word out, e.g., press releases/briefings, social media posts, email, face-to-face meetings, phone calls, etc. Other Considerations– any other things that may need to be addressed quickly, e.g.., social media posts and monitoring, online and mainstream media monitoring, command center staffing, etc. The task of creating several of these quick-action guides may seem overwhelming, but by taking the project one scenario at a time, communicators can develop a comprehensive approach to managing crisis communication strategy effectively in every situation. 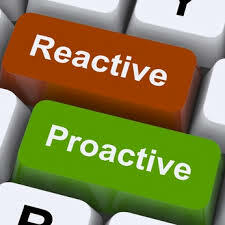 Ultimately, these quick action guides become a key component of the overall crisis communication plan. 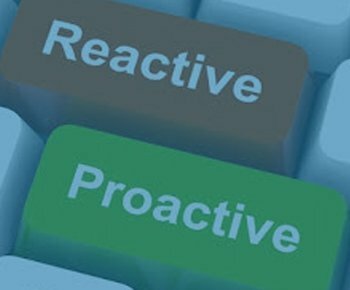 By taking a comprehensive approach to developing the crisis communication strategy and plan, both communicators and their organizations will be well-equipped to protect their brand, reputation, and bottom line in the event of a crisis. Contact ICM to help you develop crisis communication strategy for your business.